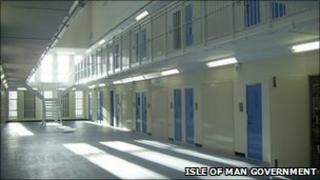 A 22-year-old prisoner spent more than an hour on the run in the Isle of Man after escaping from staff. The man, who is serving six years for drug offences, was being escorted to an appointment in Douglas when he escaped and ran off at about 1410 GMT. He was tracked down at 1525 GMT about 1.5 miles away in the Pulrose area following a police search. No-one was harmed during the incident and the community were not placed at risk, Isle of Man Police said.